Geoff has over 35 years experience in the banking and finance industry. He began his career in The Savings Bank of SA (now Bank SA) and then managed the Adelaide Branch of Austraclear, a clearing house for the Australian money market. Prior to the establishment of the Term Deposit Shop, Geoff worked with Grant for 11 years in funds management as an investment analyst and supervising the settlement of financial market transactions. During his career Geoff has developed a broad network of contacts within financial institutions throughout Australia. 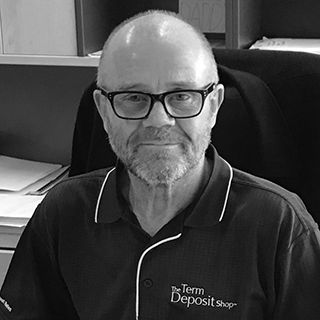 Geoff is responsible for the day to day operations of the Term Deposit Shop, facilitating transactions and overseeing the database management systems, and liaising with financial institutions, financial advisers and clients of the Term Deposit Shop. Anyone who has dealt with Geoff will know that we are serious when we say we are a service business.